It has been said that the secret to life is comfortable shoes. Nobody knew better than Robert M. Barnes, DPM...and his many famous patients. Dr. Barnes’ greatest athletic contributions came in keeping great athletes on their feet. As one of the most renowned podiatrists in the nation, Dr. Barnes was sought out by household names from throughout the athletic community. The New York City native made his first inroads to sports medicine after helping pole vaulter Ron Morris through an injury at the Olympics in the 1950s. He went on to serve as the podiatrist to the Los Angeles Rams during their glory years of Roman Gabriel and Deacon Jones, and his patient list included a veritable Who’s Who of track and field stars - most notably Max Truex, Jim Ryan, Marty Liquori, Bill Toomey, Billy Mills, Bob Schul, Mike Larrabee and Ralph Boston. Dr. Barnes was a founder of the American Academy of Podiatric Sports Medicine (AAPSM) in 1970. He served as a consultant for numerous sports federations throughout the world, and provided medical services to numerous world record holders and Olympic champions in track and field at several Olympic Games. He was proud to be the trainer and podiatrist for the California Striders Track & Field team, winners of 15 consecutive USA national championships. 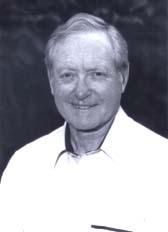 A card-carrying member of the ACSM (American College of Sports Medicine), Dr. Barnes also was a podiatric consultant to the Rehabilitation Center at Cedars, as well as to the Los Angeles Police Department. He was the official podiatrist to Botswana and Kenya for the 1984 Summer Olympics, the USC and UCLA track teams, and the U.S. Army track team. After attending City College of New York, Dr. Barnes graduated from the Temple University College of Podiatry and did his postgraduate work at New York College of Podiatry. He practiced for three years in Liberty, New York, before moving his practice to Burbank, CA in 1942 - where he saw patients for 58 years. Dr. Barnes passed away on August 3, 2002 at the age of 87.